Discussion in 'Campground / Trip Planning & Suggestions ?' started by SLOTerp, Sep 15, 2018. I'm planning our next summer's big trip which includes Great Smoky Mountains N.P. (Acadia/Montreal this past summer & Badlands/Rushmore the previous). I went to RV Park Reviews but there are like a kajillion campgrounds in that area. Help! We need at least electric for AC and water preferred. We try to avoid the KOA's and such unless they are competitive on pricing (The South Montreal KOA was actually such a case). Any suggestions are appreciated. We'll be traveling next July. Outside the park is fine with us. I know most N.P. campgrounds don't have hookups so didn't have my hopes high on that. We are pretty much all setup for OFF-GRID Camping and love the ELKMONT SITE inside the Natl Park... We like to stay in Townsend if we want to have Electric sites. It isn't as crowded as Gatlinburg and Pigeon Forge camp sites are. We also like elkmount. We stayed in the no generator loop. Since there is no hook-up. You end up with many people with generators in the generator allowed sections. I think they can run them from 8a to 8p . When we walk through the sections that allow generators you hear nothen but generators. We stayed during mid October when snow was falling at night. Never been there in the summer when people are running AC with their generators. 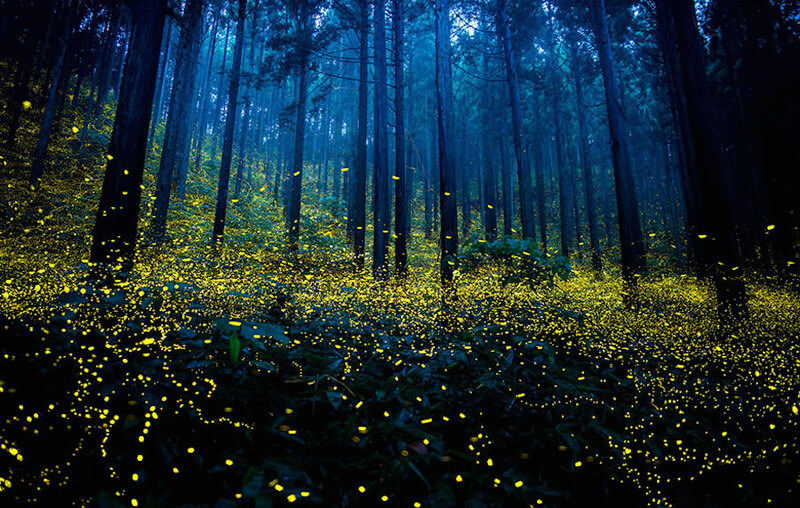 I would love to see those fireflies - beautiful! Unfortunately, the timing won't allow it. Thanks for the tips. I haven't been to Gatlinburg in about 30 years (living in Huntsville, AL at the time) but I do recall going there to ski & party, not necessarily in that order. I was a little nervous on our trip to Elkmont last month since I was in a generator loop (riverside site was too good to pass up) but it was a non issue. There were a couple mornings where I could barely hear a generator, but the river did a great job of covering up most noise. I think the recent influx of cheap inverter generators has to have really helped with this. But, since the OP wants hookups, that’s all tangential anyway. It should be pointed out though that A/C most likely isn’t needed much if you stay at Elkmont. We were there in mid August and never felt hot. The tree canopy is so dense no sun gets in and the cool mountain river acts as a natural air conditioner. I haven’t stayed in any of the private campgrounds yet, but in other groups there are a few that always get mentioned. Clabough’s in Pigeon Forge is always recommended and it has reasonable prices ($40 in the summer). The KOAs in the area are pretty expensive, though I’ve heard nothing but great things about the Townsend KOA. Just keep in mind that most of the private campgrounds are going to be crowded and our little pups are going to be towered over by the huge 5th wheels. That doesn’t bother me too much on that kind of trip. If I want more privacy, I’ll just rough it at Elkmont. I prefer Townsend, less traffic but great access to the park. We've tent camped at the townsend KOA. You can tube or swim in the river and there is a pool. Bathrooms are very clean. Nearby is Riverrat where you can tube all day. Cades Cove is really close. The sites are close but not as bad as pigeon forge campgrounds. It's our best option if you want hookups. Just got back from Great Smoky mountains. I stayed at elkmont campground. I know not quite what you are asking for, but I had a great time. Just a few things to note . Estimate using more gas than you first think on the mountain. Not to mention fill up no matter what, just before you go up. Once you are in the park there are no gas stations. I chose Elkmont because it was a good halfway mark from the two parts of the park I wanted to see (Cade's cove and Oconaluftee visitor center) Also look up Great Smoky Mountain Railroad. They are in Bryson, NC. It was a nice pleasant train ride. Sadly due to the hurricane my trip in the Smoky's was shortened so wasn't able to do everything I planned. Didn't have time to go on any trails except up Clingmans dome. Geeze that is the longest half mile hike I ever took. Sadly, when I went it was entirely under cloud cover. I saw a heard of Elk at the Oconaluftee visitor center which was quite exciting. Near Elkmont is a very old School/church you can walk into. You can drive or walk to the school on this one lane road. However the drive is dang scary especially when you have to go around another car. I had a very good time, but this park is HUGE.